Team March of the Pigs is our competition BBQ team that takes part in the annual Hogs for the Cause Festival in New Orleans every spring. Hogs for the Cause, operates as the preeminent pediatric brain cancer outreach service granting agency in the country. Our mission at Team March of the Pigs and Smokin' for a Cause is to help fill the financial void left uncovered by traditional insurance and medicaid through grants directly to families that need them most. 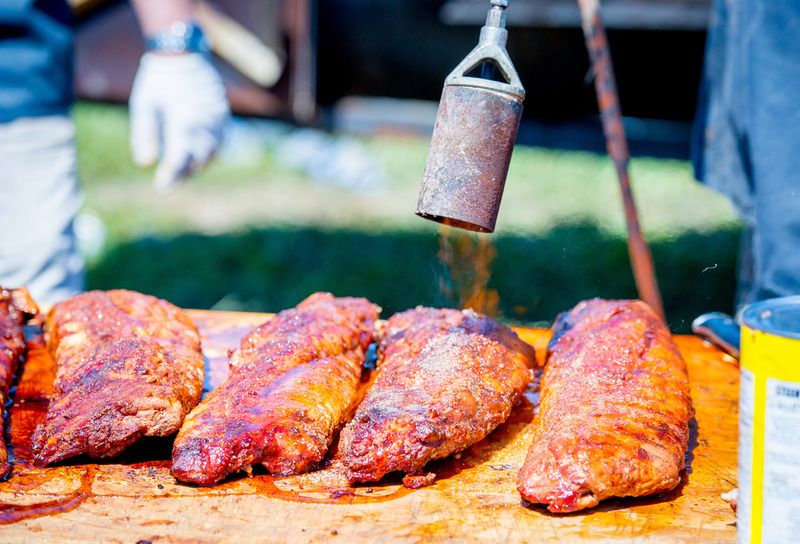 The annual Hogs for the Cause festival in New Orleans draws 85 competition BBQ teams from across the country to compete in categories including Best Booth, Ribs, Pork Shoulder, Whole Hog, Porkpourri (The coveted off-beat pork category), and Fundraising. The combination of your scores is then used to crown a grand champion, of which Team March of the Pigs finished in Second place overall at the 2016 festival. The 2019 incarnation of Hogs for the Cause will take place on March 29th and 30th on the grounds surrounding the UNO Lakefront Arena in New Orleans. Team March of the Pigs regularly scores in the top tier of the BBQ categories at Hogs. Our tried and true method of slow smoking our ribs and shoulders over a pecan wood fire with a blend of spices curated to perfection yields great results time after time. In addition, our menu for the festival is chock full of some of the best and most adventurous food at the festival. Not only do we cook up some great grub, but we back it up with substantial fundraising. 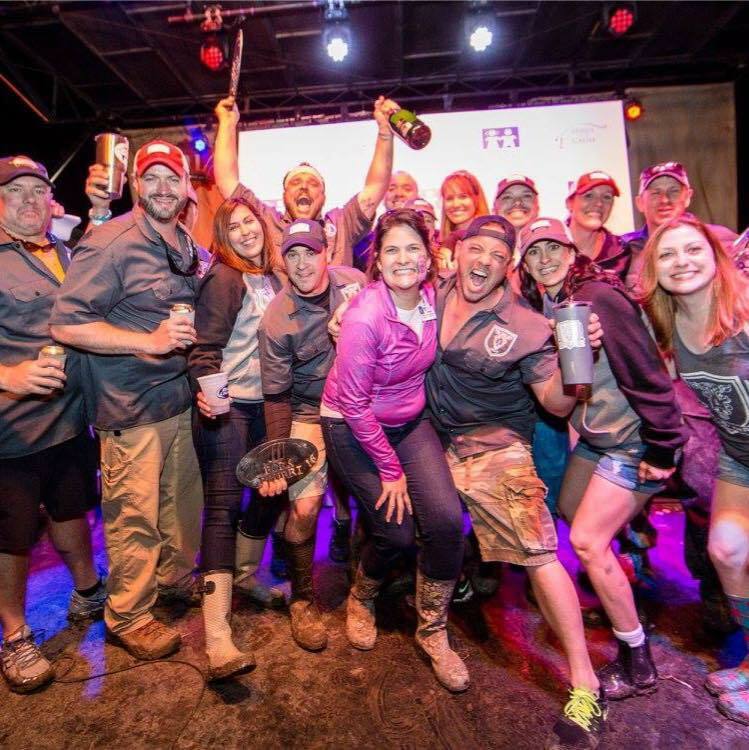 Since 2015, we have raised over $46,000 for Hogs for the Cause through our grassroots donors as well as some very meaningful corporate sponsorships from local and national companies and we are always looking to add new sponsors to our ranks. Our fundraising efforts are a year round marathon to raise money for families battling pediatric brain cancer. Keep up to date by following us on social media for the latest on our events. We can't thank our generous sponsors enough for their support. It is with their generous support that we can make a meaningful impact for families battling this terrible disease. We are a grassroots organization and we rely on generous donations from individuals to make a huge difference to the families battling this terrible disease. Throughout the year, we will hold online raffles and sell tickets to our events to help buoy support for our cause. The link below will show all of our active events.